MSI has added a new gaming laptop to their range with the launch of the MSI GX723 Gaming Laptop. 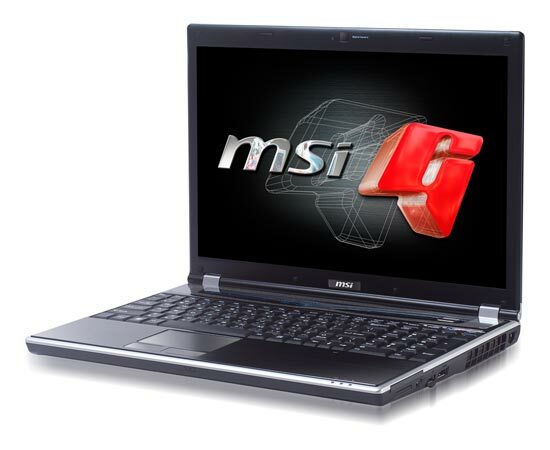 The MSI GX723 Gaming Laptop comes with a 17 inch WXSGA screen, an Intel Core 2 Duo 2GHz processor, 4GB of RAM with the option to upgrade to 8GB, and a 512MB NVIDIA Geforce GT 120M graphics card. Storage comes in the form of a 500GB SATA hard drive, there is a DVD Super Multi drive, a 4-in-1 card read, 802.11 b/g/n WiFi, Ethernet, and 5 speakers. The MSI GX723 Gaming Laptop will go on sale at the end of May in the UK for around £999 about $1500.